The C5 Aircross seen in this teaser picture will debut in Shanghai. PARIS -- Citroen aims to capture more sales in the booming SUV/crossover segment in Europe and China with the C5 Aircross, which will debut next week at the Shanghai auto show. The PSA Group brand released teaser pictures of the midsize SUV on Thursday but few details ahead of the car's unveiling on Tuesday. The C5 Aircross will go on sale in China in the second half and in Europe at the end of next year, Citroen said in a statement. 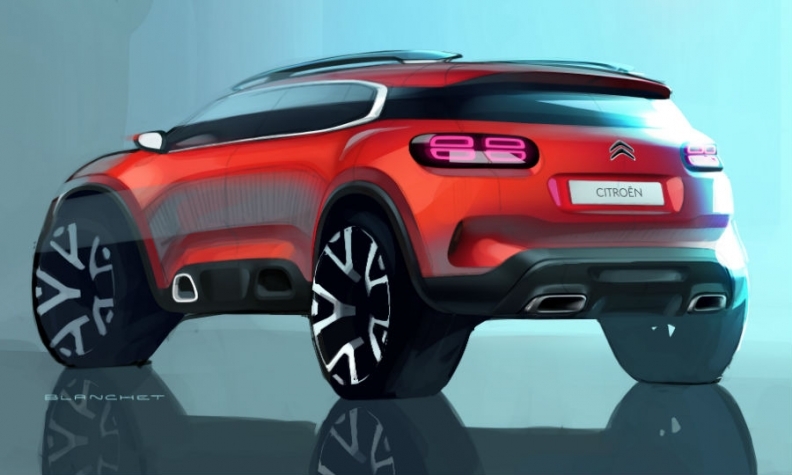 It will be built on PSA Group's EMP2 (Efficient Modular Platform), reports said, although Citroen has not talked about the car's technical basis. EMP2 underpins the automaker's compact and midsize vehicles, including the Peugeot 3008 and the DS 7 Crossback SUV/crossovers. 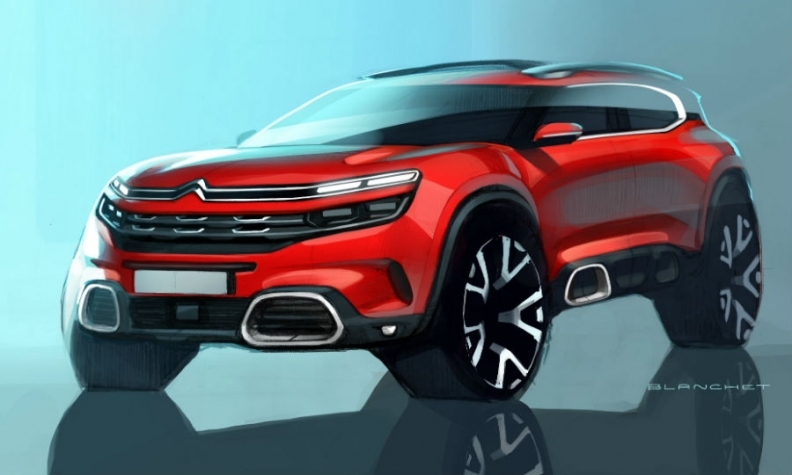 The C5 Aircross was previewed by the Aircross SUV concept first shown at the 2015 Shanghai show. The model will be built at PSA's plant in Rennes, France, for European markets and in Chengdu, China for the local market. Citroen's vehicle sales in China fell 17 percent to just over 250,000 cars last year. But China accounted for about 20 percent of the brand's worldwide sales. Overall PSA Group sales fell 16 percent in China to 618,352 in 2016. Citroen has been slower than rivals such as Renault and even its PSA sister brand Peugeot to offer a range of SUV/crossovers, instead focusing on minivans, a segment that has been losing popularity among European buyers. The C5 Aircross has and "assertive" design, Citroen says. The brand says the C5 Aircross and the smaller C3 Aircross crossover mark the start of its product offensive in the segment. Citroen previewed the C3 Aircross with the C Aircross concept at the Geneva auto show last month and the production model is due to go on sale in the autumn. The C3 Aircross will replace the C3 Picasso subcompact minivan. It shares its architecture with the Peugeot 2008 and Opel Crossland X, the first collaboration between PSA and General Motors' Opel/Vauxhall unit, which GM is selling to PSA. A revised version of the C5 sedan, which is being discontinued in Europe, will also join the C5 Aircross and the C-Aircross Concept on the Citroen stand in Shanghai.